Hi everyone ,I'm new to this site & when searching found an archived thread re Zalaman/Moonshine Vision etc.The forum will not let me continue that thread as it is old now. 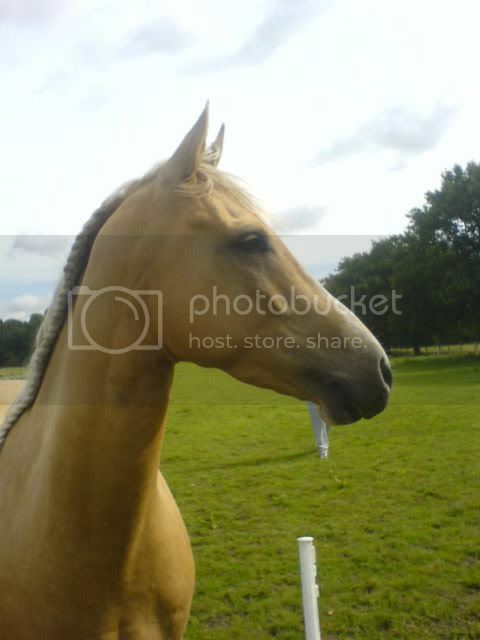 I have just bought a 2yr old palomino called Davada Desert Storm. 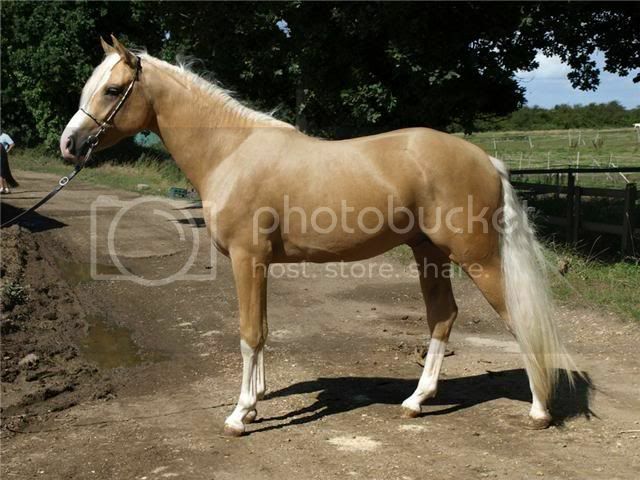 He is 50% welsh D,21% Arab, and the rest Saddlebred/bog pony! 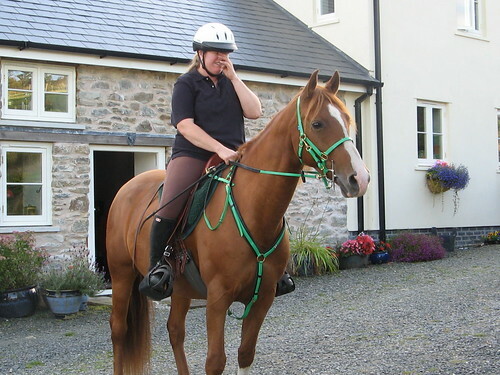 I've got a chestnut mare who is by Moonshine Vision - Roundhills Golden Ginger (Ginger) & also a chestnut gelding by Zalman - Helperic Valentino R (Rufus). 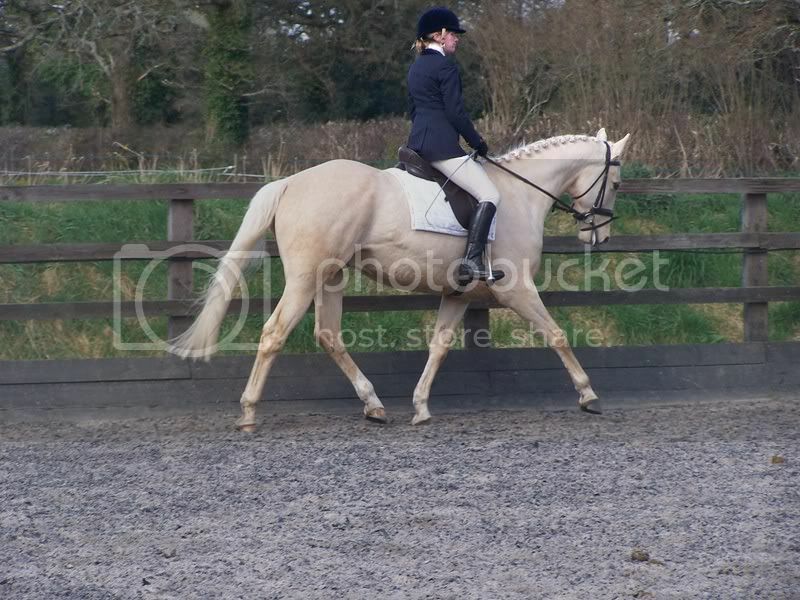 Roundhills Cinderella must have been a cremello , where is the Bog pony in his breeding ? as the horses on his dams side are mostly Saddlebred, Arab & TB ! sarahlock, why do you think she was cremello? The bog pony that I was referring to was frogmore Irish Gold who was 14.2, back in 1960.Sorry i know that he wasn't a real bog pony! Your mare would be Storms auntie then ! Aaaaaaw! Im not 100% sure , but i remember that Moonshine Romany Luck seemed to have a few cremello foals when put to Palomino stallions! OMG Bog ponies ? you got me wondering ! Come on now, Frogmore Irish Gold was 50% Thoroughbred & Palomino, his sire Irish Dance won 9 races and was HIS Premium Stallion. 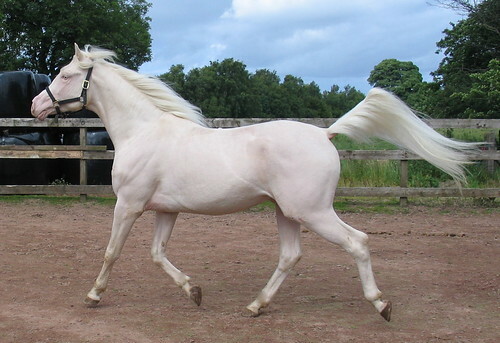 Does anyone knows if The Neatheroak stud did have a cremello stallion at stud in the nineties? 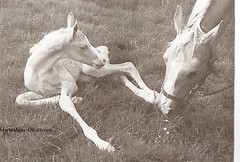 A friend bought a chestnut showjumping mare from a dealer and that mare produced a palomino fillyfoal the year after she had been imported to sweden. When she contacted the dealer and asked him if the mare had been covered by any stallion the dealer told her that the mare had been covered some weeks earlier by a cremello stallion from The Neatheroak stud when he bought her from a sale. 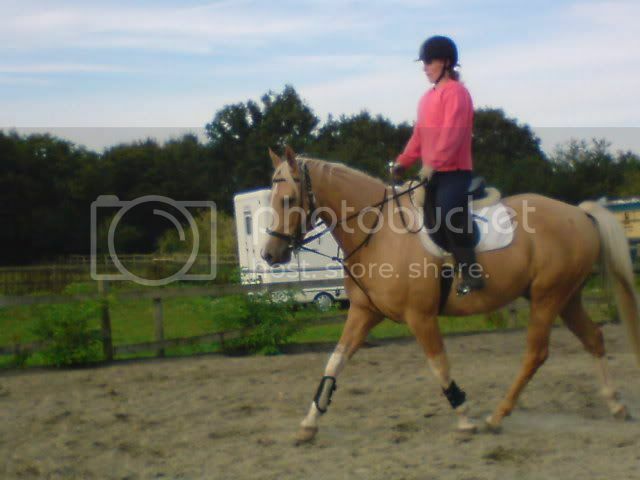 The showjumping mare was 16 hh and her palominofilly was 16.3 hh as 4 yearold so the stallion must have been rather big. 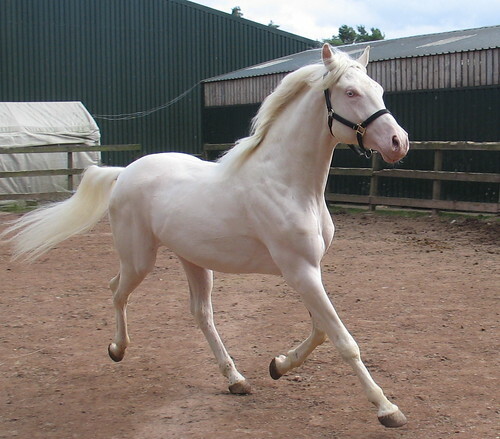 We have a three year old cremello colt/stallion by Moonshine Vision. He is Roundhills Crystal King. He also has Frogmore Irish Gold in his pedigree. He's a big lad, currently standing at 16 hands. Moonshine Vision is around 16 hands I believe so the height is in the genes. Would be happy for our boy to stop at 16 hands but he might make 16.1..will need a ladder to get on board. Roundhills Crystal King, after his bath and a quick blow dry! 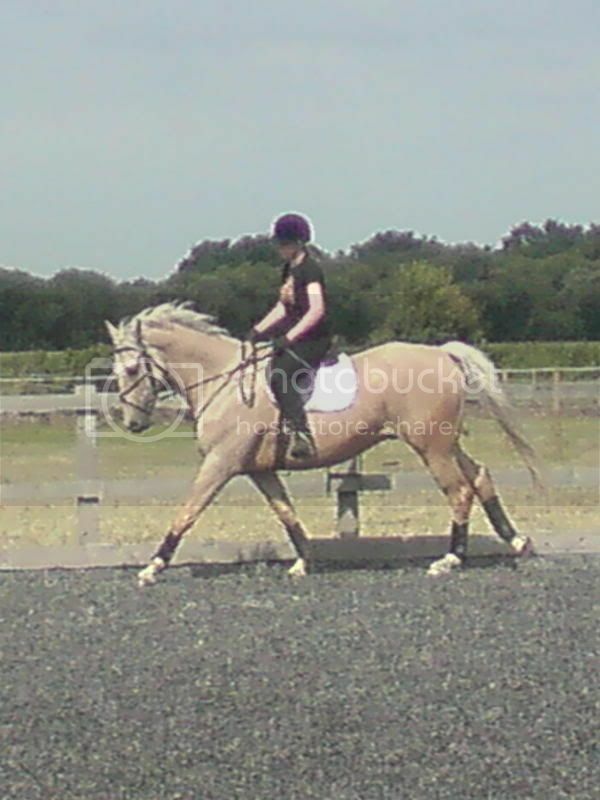 Desertstorm, I love your horse, he's stunning!!! Moonshine Vision was only 16hh? Hi im sure you posted some pics of them last winter & the dam of your sister`s lad was Shepley Tiara as i posted a pic of her for you ! Pintoarabian ....your colt is stunning & the last pic of him is fabulous it looks like a portrait ! Thanks, Sarah, he does scrub up well, doesn't he? You should see him today though after he'd rolled in the muddiest spot he could find! Thanks for all your pics and info! I have been away for a while and have only had chance to read them tonight! What lovely breeding desert storm. My boy, "Legend Indian Prince", is Grand son of Moonshine Vision. Ooh what lovely relatives Storm has got.the colour of legend Indian Prince is heavenly!!! I have noticed that most of the horses seem to have these raggy socks, which Storm has too. The raggy socks are Sabino markings. Also odd shaped facial markings, roaning and odd dark and white markings on the body. Indi is a Palomino Sabino! Have pm'd you but thought I would put the photos that I found of Moonshine Romany Luck on here in case anyone else interested. Here are the photos. The first is poor quality and was from the Winter 1990 magazine. and finally a headshot of her with the gorgeous afforementioned colt which is in the Winter 2007 magazine. You can get copies of these magazines if you e-mail the British Palomino Society via their website - they are �3 each. Anyway, I hope you like the photos. Good luck with Desert Storm. He looks like a lovely boy. 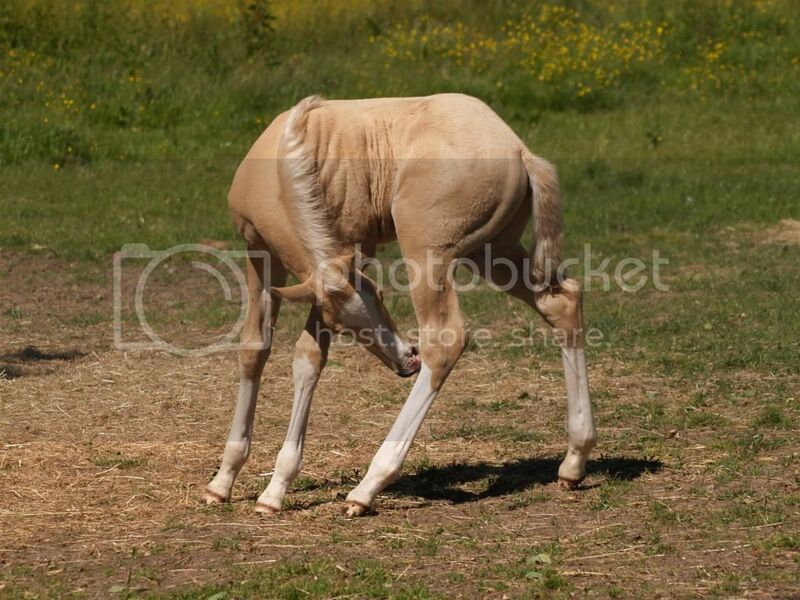 For all of us Moonshine Vision fans - the new baby Moonshine Obsession looks exactly like him so we should still have some palomino saddlebred bloodlines to go on with! In response to Pelle's question about the Netheroak Stud. 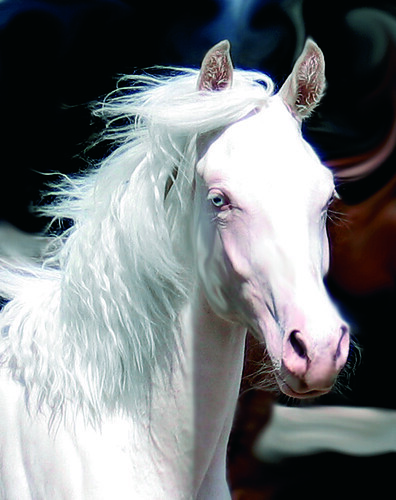 I think they did have a cremello stallion there when I bought my mare from them in the late 80's which I think was called Netheroak Silver Phantom. Not 100% sure about this so dont quote me. If Phantom is a figment of my imagination (!) then the sire of your friends foal could have been Zalaman who definitely stood at that stud at that time. 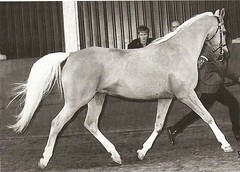 Zalaman was 16.2hh Palomino 1/4 Saddlebred 3/4 Arab. He was by Manzala out of Golden Amba by Goldmount Majesty. Goldmount Majesty was 17 hh hence the height. Also new to the sight though i regularly visit here for a look. 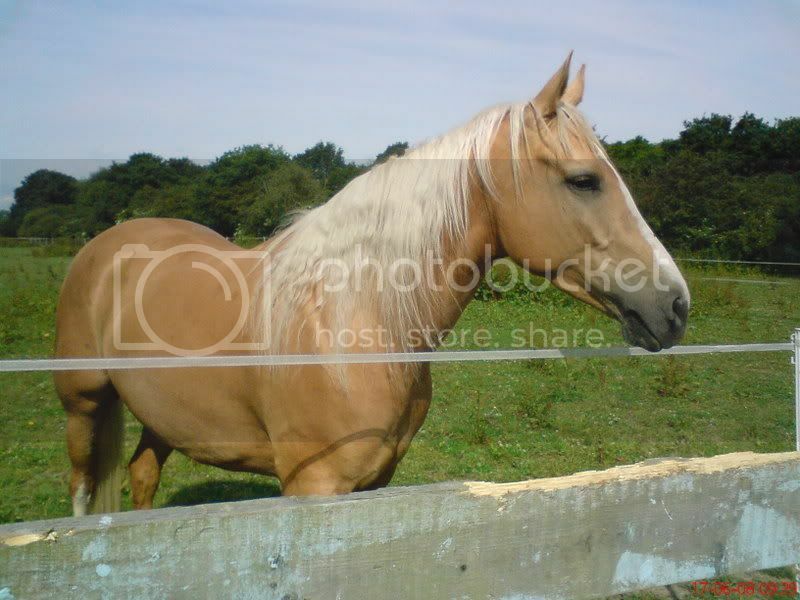 I also have a Moonshine Vision Palomino colt/Stallion, 2 years old. Sameon Sun Vision (Moonshine Vision X Sameon Santana) known as Vision. Have tried to do his extended Pedigree mainly using the all breeds web sight and have got stuck. Any one know anybody who would be able to look at what I have done so far and know how I go about finding the missing links? Photos just to keep up with the rest of you. Wow Rachel. His name really suits him. He is indeed a vision in gold! I have got quite a lot of pictures and info about old palominos so let me know which specific bits you are looking for and I will see what I can do. Welcome to the forum and hope to see you at the Palomino shows next year.